As a home owner, you probably understand that every few years your house’s garage door will require your attention. It may be a bent door or an opener that no longer activates the door, which means, things you’ll most likely be able to fix on your own. But sometimes, you might encounter problems that will require the service of a professional technician. And just for those moments, when you need a reliable and quick service, we offer you our garage door repair services in Coppell TX. At Veteran we believe in providing each customer with a quick response, great service and a fair price. 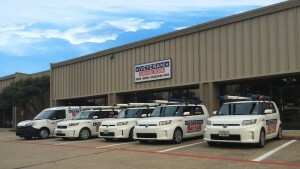 Therefore, we offer our services across the whole Dallas Fort Worth Metro area, where all the local community can enjoy our professional services and solutions. If you need garage door repair services in Coppell TX, our company is the address for your needs. Our experience has taught us that there are plenty of garage door types out there. There are plenty of garage doors manufacturers, types, materials they are made of, designs and styles (there are even double-layer garage doors), and we can handle it all. We’re accustomed to fixing any kind of problem with any kind of garage door out there. Our company offers garage door repair in Coppell TX, regardless of the type of repair you need – we do it all. We can help put your garage door back in its tracks, we can fix it if it is bent, we can replace broken springs, eliminate excessive noise, fix its cables and opener, etc. You name the problem with your garage door, and we will name the service that we will provide you with in order to overcome the malfunction you’re losing sleep over. 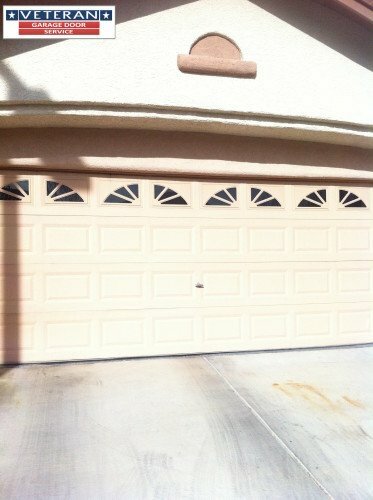 Sometimes the garage door is beyond repair and you will need to replace it. In case you need to replace your garage door, at Veteran you will find a wide selection of garage doors of all models and designs, so you can replace it with the garage door you want. Looking for garage door repair in Coppell TX? Contact Veteran Garage Door today!